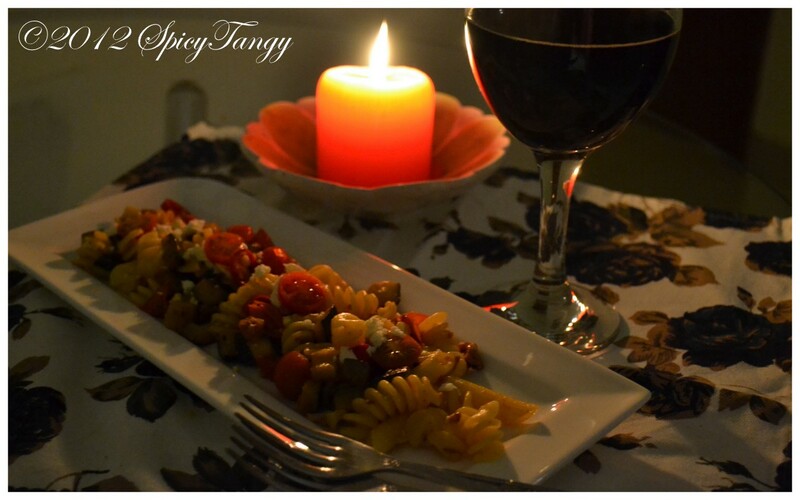 A special (and hot ) recipe on this Valentine's day for all the SpicyTangy followers! In a large pot, boil enough water and add the pasta. While the pasta is cooking, prepare the ingredients. 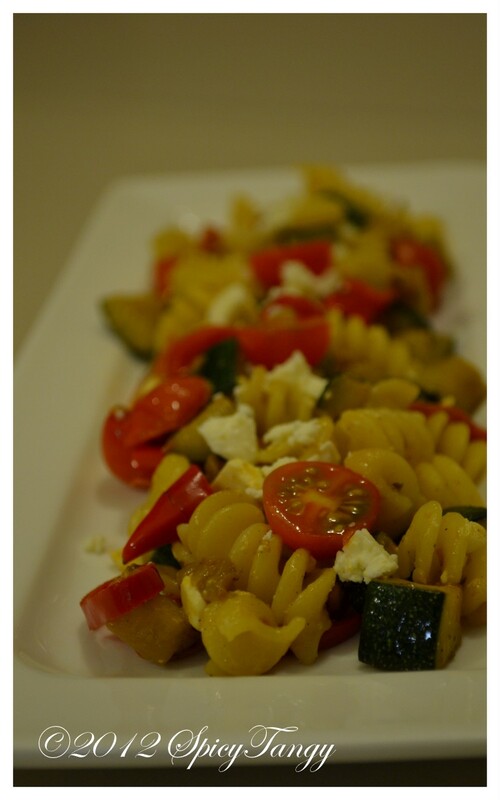 Dice the zucchini into small cubes. Cut the cherry tomatoes into halves. Chop the red chilies and walnuts. Set aside. In a pan, heat the oil. Crush the garlic and add it to the pan. Saute on low heat for couple of minutes. 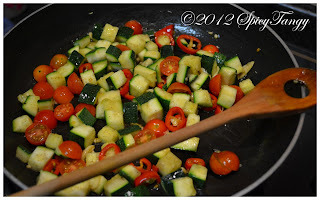 Increase the heat to high and add the red chilies and zucchini. Cook till the zucchini is nice and soft. Add salt, pepper and oregano. Mix well. Add half of the cherry tomatoes and walnuts. Mix well and cook for 5 minutes. Turn the heat off and add some lemon juice. Add remaining cherry tomatoes. Crumble the feta cheese and add it to the mix. Your pasta should be ready by now. Drain the water and add the pasta to the sauce and mix well. You may substitute the red chilies with green chilies or chili flakes.